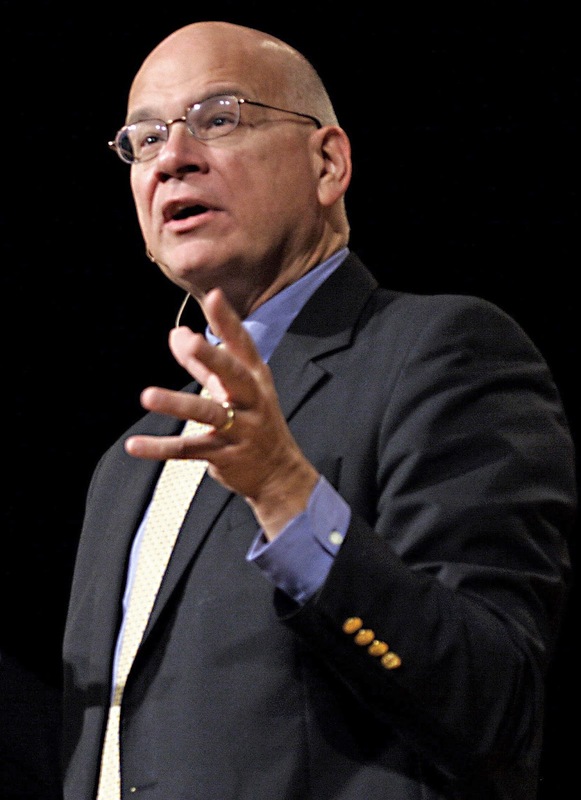 For anybody who knows Tim Keller it appears impossible that he, the pastor of Redeemer Presbyterian Church in Manhattan, would ever give up his faith. However, I was watching the film version of Keller's bestselling book, The Reason for God, and was surprised to hear him affirm such a possibility. When asked by one of his non-believing interlocutors whether Keller thought that there might be some convincing arguments against Keller's belief Keller replied by saying that he has two grounds for belief. First, he said, is the rational ground - there are many good reasons to believe that Christianity is true. Second, Keller grounds his faith in religious experience. If both his "rational" ground and his "experiential" ground were shaken then, sure, Keller would give up his belief. Keller remarked that the experiential ground would take longer to soften, but that both, in principle, are defeatable. Keller essentially told his questioner that a) it is possible that Keller is mistaken in his beliefs and b) the unbeliever may be able to defeat all the reasons Keller has for belief if he can muster enough good arguments. I want to suggest that Keller is mistaken in his strategy and I would like to attempt to strengthen his argumentation. For the task set before Keller one needs to show that Christian confidence in Christian beliefs is maximally justified. To do this one should be allowed to appeal to grounds within the Christian worldview. In other words, the question our interlocutor is asking is not what might convince an unbeliever, but what convinces the believer. Keller picks two grounds for belief that are both, in principle, defeatable and do not appeal to internal grounds. Under the name of Holy Scripture, or the Word of God evidence itself to be the Word of God: yet notwithstanding, our full persuasion and assurance of the infallible truth and divine authority thereof, is from the inward work of the Holy Spirit bearing witness by and with the Word in our hearts. Beliefs, in this confessional sense, are held on the grounds of revelation. God reveals himself in scripture ("evidence itself") and gives believers the Holy Spirit who enables believers to affirm the truth of revelation. These two acts of God--the inspiration of scripture and illumination by the Holy Spirit--are Keller's grounds for his belief. There are several objections that would have to be met for this line of argument. First, one might wonder if Keller is somehow offering an answer that cannot be critiqued. God has given him special revelation and there is no way to know whether or not this is true. In other words, there is no way to test or cross check such a claim against any commonly available standard - reason, evidence, experience etc. Keller has a couple of lines of response available. First, he could then respond that there are many things that fall into such a category. One cannot help but believe certain things such as "I am sitting on a chair" and to deny them just seems to fly in the face of the obvious. Keller could respond that his belief that Christianity is true and that God has revealed himself are grounded in a way that leaves no room for doubt in the same way that his belief that he is sitting in a chair leave no room for doubt. Second, Keller could respond by saying that, although the unbeliever has no way to test the claims, the question was not what convinces the unbeliever, but what convinces Keller. In other words, the challenge was not to meet an external challenge, but an internal challenge. Keller does not have to test his beliefs by the standards that are already acceptable to an unbeliever. Finally, there is one kind of test that can be performed. Are the grounds for belief internally consistent? Keller could argue that, given God's existence, there is nothing irrational in believing that God has spoken truth in his word and given the Holy Spirit to some people enabling them to affirm the truth of the word. For the second objection one might suggest that because there is no way to check or test Keller's answer that it is no answer at all. It is tantamount to saying "I believe because I believe." This might come down to a challenge that Keller's argument is somehow circular. However, again, the question was not about what might convince the unbeliever, but about what grounds the believer has for belief and whether or not those grounds are solid. There is no obligation to demonstrate the truth of the claims on grounds found outside the Christian worldview. It is a question of the internal grounds for belief. If this is permitted, and it seems it is due to the internal nature of the question, then Keller is well able to explain the doctrine of special revelation. While the opponent might not have equal access to the evidence she can surely see that, given the truth of Keller's worldview, inspiration of scripture and illumination of believer are perfectly possible. Keller does not have to provide an answer that satisfies the unbeliever, only one that satisfies the believer. This is not a circular argument in any irrational sense. The strength of such a response is that it is an honest answer to the question and is consistent with Keller's reformed theology. The weakness of the response is the obvious exclusion of any reason the unbeliever might find satisfying. The unbeliever might then change the question. Since there is no apparent reason for the unbeliever to change beliefs based on the given reasons that the believer holds to those beliefs the unbeliever might then ask for such a reason. For this Keller needs to use different argumentation (see here for a suggestion). I'm sure this is stating the obvious but: I do not think that Tim Keller is in any way on the verge of abandoning his faith.